This is a basic 16 character by 2 line black-on-green display. Utilizes the extremely common HD44780 parallel interface chipset. Interface code is freely available. Blue Backlight with white words. uses 4 Bit Arduin LCD Library. Cocok untuk Breadboard tipe mini dan tipe MB102, berjarak Pitch 2.54mmDibandingkan dengan rancangan ..
1. 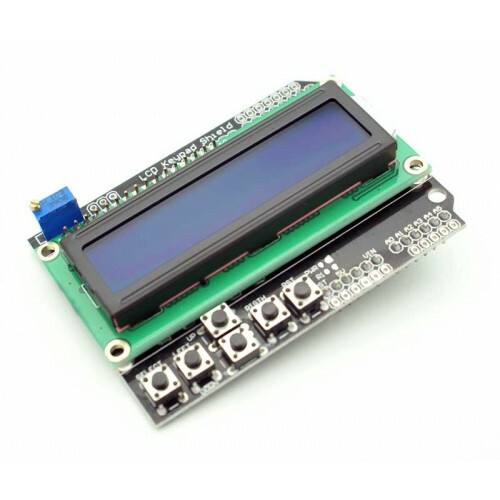 The module is a low-power consumption character LCD Module with a built-in controller.2. The modu..
DS1302 Real Time Clock Module (Tanpa Battery CRDALLAS DS1302 is the company launched trickle charge ..